Burger and fries for only $6.00. Premium toppings are $0.50 extra. Reservations recommended, but not required. 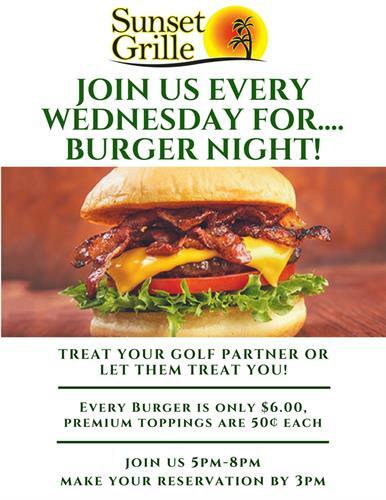 Burgers are served from 5 pm to 8 pm on Wednesday night. Only $6.00 per burger unless premium toppings are added. Premium toppings are only $0.50 each.